Done with the Super Bowl but still can’t turn off your brain? Netflix has you covered with The Cloverfield Paradox, the third film in JJ Abrams’ monster thriller franchise. 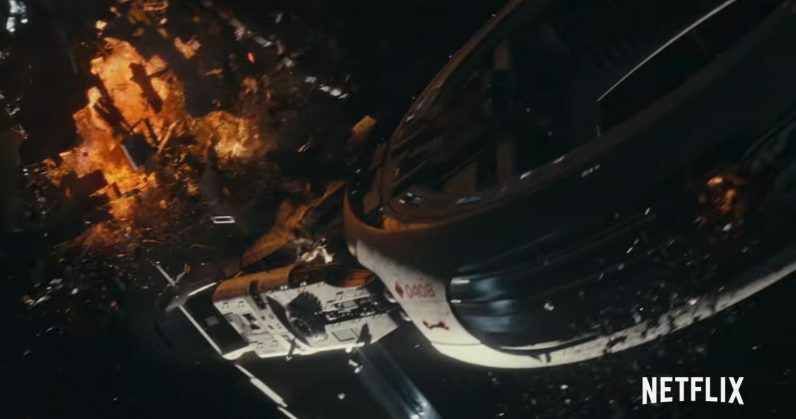 There’s not a lot you can tell from the two short TV spots for the Julius Onah-directed flick, but it promises to reveal the origins of the monster that arrived on earth in the first film, and appears to focus on the crew of a spaceship as they attempt to uncover the mystery behind the beast. Thankfully, you don’t have wait to discover the truth yourself: The Cloverfield Paradox has been released worldwide on Netflix, and you can stream it right away (and it’s probably a better choice than the company’s other recent big-budget flick, Bright). Let us know what you thought of it in the comments.